There is no other firm on the globe more qualified to help you staff your International jobs! We have performed for small private firms, foreign and domestic government agencies, and many of the world’s largest private employers. We have filled positions in Engineering, Manufacturing, Defense, Aircraft, Computers, Electronics, Architecture, Construction, Power, Operations & Maintenance and many others. Jobs have ranged from executives and professionals to technicians and draftsmen in most disciplines and industries. We have successfully filled jobs in marketing, sales, engineering, architecture, project controls, planning, cost engineering, start-up & commissioning, estimating, information technology, process controls, R&D, training, human resources, contracts administration, finance and accounting and many more! We have recruited everything from craftsmen and technicians to engineers, construction managers, engineering managers, manufacturing plant managers and executive management in a large variety of industries. 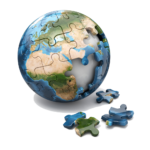 In today’s competitive marketplace, International staffing problems demand global solutions. We can extend your recruiting horizons far beyond traditional boundaries with worldwide recruitment of professional employees for jobs in America and anywhere in the world! Whether a client is seeking employees within the United States, transferring employees to or from international locations, recruiting outside of America for jobs in the USA, or staffing offices and projects overseas, our expertise can accomplish the task. No other firm in America has our depth of background in worldwide recruiting. We have been helping firms solve their recruiting problems since 1979. Our clients include many of the world’s largest international firms. We have managed recruiting programs involving more than 20,000 people for jobs on every continent and throughout the USA, UK, Western Europe, Eastern Europe, the Middle East, Far East, Africa and Latin America. We can help you hire the best talent on the planet! You name it, we know how to get the job done – whether it’s for a new sales and marketing operation in Europe, a design engineering contract in Houston, an oil refinery in San Francisco, a petrochemical plant, airport, highway, water treatment plant or computer installation in Saudi Arabia, a cogeneration plant in Pakistan, an architect in Singapore, a telecommunications engineer in Indonesia, a marketing manager in Mexico, or any project needing professionals anywhere in the world. When you need just the right person to design, install, sell, train, operate, maintain or manage in the USA or overseas – we know how to find the best talent in the World! We focus on staffing expatriate and international jobs in North America and Overseas when our clients need international expertise or experience. We also work with many leading global firms to staff their overseas offices with global experts from around the world or their offices in America. Extend your recruiting horizons to include well-educated, up-to-date, motivated professionals from overseas to fill your openings locally or anywhere in the world. We can connect you with experienced talent that speaks your language, from high tech to high finance, from manufacturing to data processing. We have organized overseas recruiting campaigns for some of America’s largest employers since 1979. 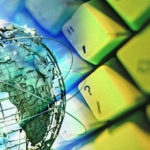 Eliminate the need for “brick and mortar” operations overseas. We act as a your “Employer of Record” – hiring your local people as our employees, capturing time and expenses, processing payroll, providing benefits and HR support, and providing you with global expertise virtually anywhere in the world! Through our extensive network of local and cross-border experts, we are ideally placed to help you manage the complex issues arising from international assignments. Go here for a complete list of countries served. Offshore companies often find it impossible to find a American firm willing and able to help them pay their employees in the USA to keep them compliant with all the complicated legal and tax issues. The most common problem is that most USA payroll and EOR firms cannot finance offshore billing. Problem Solved! We can help any overseas company hire and pay their employees legally anywhere in America. We are a employer paid contingency search firm and we never charge fees of any kind to candidates. We work in partnership with our clients to solve their staffing problems. We are paid when we successfully complete the job. If we do not fill it, we do not charge our client a fee. When special needs require exclusive attention we can provide hourly, lump sum or progress payment contracts to provide our client’s with the flexibility and resources needed to get the job done. Providing contract employees for temporary assignments in many disciplines. On our payroll or yours, we can provide personnel for short term and long term assignments anywhere in the USA or overseas. We can provide complete payroll and employee leasing and Employer of Record services to pay, administer and employ as few as one or even thousands of people. We are experienced in all employment and payroll matters and provide complete compliance with all USA and Foreign withholding and insurance requirements. 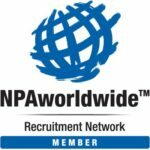 We are a proud member of NPAworldwide and Top Echelon, which are two of the largest and oldest networks of employment agencies in America. With over 2,000 offices and thousands of recruiters throughout America, Canada and overseas, our associates offer us the unique opportunity to network our openings and candidates to provide one of the most comprehensive services available anywhere in the world. We also associate with many other specialist search firms in the USA and overseas. These partner offices and affiliates give us a vast and varied network of more than 2500 Recruiters offering us incredible resources to draw upon to find a wide-range of candidates. Networking gives us enormous additional resources to draw upon to provide the best possible selection of candidates for our clients. It is a “Win-Win” situation for everyone and one we are proud to share. With your permission, we can submit your resume to other agencies that share our commitment to selectively networking candidates and job openings. By sending your resume to our partner firms we are able to expose your resume to our private network of over 1,200 recruiting firms and thousands of recruiters. There is no cost for this service. Simply send us your resume asking us to share it with our partners to iscinc@iscworld.com. Although it is not required, it is helpful for us to know your current or last salary or a general salary range, and something about your relocation preferences. Add you email, select your job discipline and industry and in 30 seconds you will be added to our job alerts. Don’t worry if your search is confidential, because we do not require your name and you may remove yourself from the list at any time. There is no other firm on the globe more qualified to help you fill your international jobs! Since 1979, we have performed staffing services for a broad range of employers in a wide spectrum of jobs for small private firms, foreign and domestic government agencies, and many of the world’s largest private employers. We have recruited everything from craftsmen to PhD’s. When it comes to worldwide staffing solutions, there is no other firm in the world more qualified to help you.